You’ve heard the rumors by now—Apple is reportedly releasing its upcoming iPhone 5se and new iPad at an event on Monday, March 21. The event was originally scheduled for March 15, but then was delayed by a week for unexplained reasons. Rumors say manufacturing of the new 4-inch iPhone started ramping up in January. Apple hopes the new iPhone 5se will convince customers to upgrade their device for a newer and faster one that is still relatively small. Instead of upgrading to the larger, 4.7-inch iPhone 6s or the 5.5-inch iPhone 6s Plus, customers will be able to opt for the iPhone 5se, which will be identical to the size of the iPhone 5s, released back in 2013. Reports say the phone will come in the same colors as the 6s-rose gold, silver, gold, and space gray. Moreover, sources indicate that it will include Apple’s newest A9 and M9 processors and features from the iPhone 6 device: the camera system, ability to take Live Photos, always-on Siri activation, and an NFC chip for Apple Pay. In addition to the new iPhone device, sources say Apple will also release a new iPad, but what kind of iPad it will be is a bit unclear. Apple didn’t update the iPad Air line last year in favor of bolstering the new iPad Pro. At this upcoming event we’re expecting to see a smaller iPad, which apparently will be called a smaller iPad Pro weirdly enough. The device will be 9.7-inches and is said to include the following features: a Smart Connector and support feature for Apple accessories (Smart Keyboards and Apple Pencil), A9 processor, and a new camera system that will potentially have a rear flash. Reports indicate that Apple is also planning to unveil a series of new colors for the Apple Watch Sport Band. The report indicates that Apple is developing an entirely new band for the watch made of new materials. This new band would supposedly be in partnership with a firm other than Hermes, possibly a third-party accessory maker, such as Incase, which Apple had previously mentioned partnering with in some fashion. Apple is mostly likely going to be revealing something big come March, and if it’s none of the above, it could very well be this one. Reports say Apple is planning to start producing a new 12-inch and 13-inch MacBook Pro model in late March or early April, followed by a 15-inch MacBook Pro in the company’s third quarter. Supply chain sources indicate that the updated notebooks could see a staggered launch in 2016, meaning, March could be the first launch. 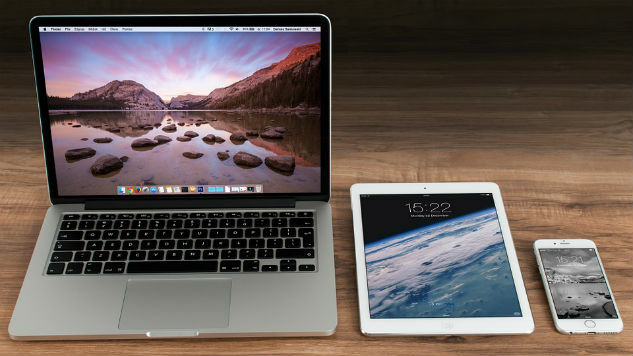 The new MacBook Pro is rumored to include a touchscreen and the improved Skylake processor. This would produce better graphics, power efficiency and performance. All those things would be amazing, and many Apple users have commented about wanting this before. This would be a huge surprise to announce, if the event happens. If we don’t hear an announcement for the new MacBook in March, we very well could hear one in June at WWDC.